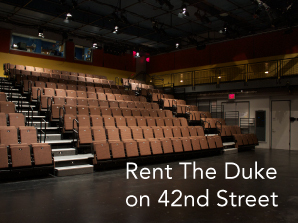 The Duke on 42nd Street is an intimate, flexible, black-box theater built and operated by The New 42nd Street for the presentation of works by domestic and international nonprofit and commercial organizations. Read more about us. Located in the heart of the country's premier entertainment district, The Duke on 42nd Street offers artists and producers a unique home to share their work. 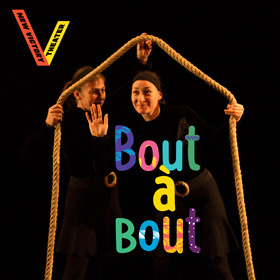 The black box space is completely reconfigurable to accommodate a production's creative need and rentals come with the support of our knowledgeable, well-trained and experienced staff.